This 3 bedroom 2 bath 'Litchfield" Plan is located in the gated & natural gas community of Sago Plantation adjacent to the highly proclaimed Legends Golf Resort ... This home features include HardiPlankÃ‚Â® siding, granite counter-tops, Shaw Laminate flooring, 3x6 stylish subway tile back-splash, Frigidaire stainless steel kitchen appliances and upgraded 42" staggered cabinets in the kitchen. Tile flooring in baths / laundry room and a tank-less water heater (Rinnai). Also includes a gas range, a covered lanai for outdoor living enjoyment. 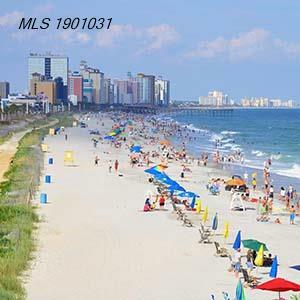 We invite you to surround yourself with all Myrtle Beach has to offer yet still enjoying the privacy and relaxing community feel, this lifestyle may be perfect for you..